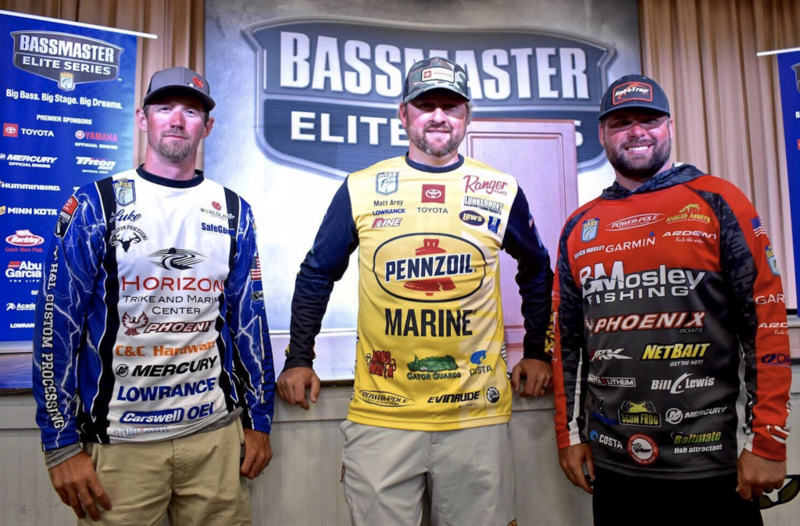 Bassmaster Elite Series pros Brock Mosley, Luke Palmer, and Matt Arey all took home a top-35 paycheck last week on Lake Hartwell and are looking to keep the momentum rolling on Winyah Bay for the 4th stop of the 2019 season. We caught up with them before tournament registration to gauge their thoughts on this expansive, and sometimes confusing fishery. Team Toyota’s Matt Arey and Elite Series rookie Luke Palmer had never launched a boat on Winyah Bay until official practice this week, While Mosley competed in 2016 and finished in 41st place. Similar to when the Elites were last here; fickle fishing and long boat rides seem to be the topic of conversation. Q: Name two lures you suspect to play a role in the top 10s arsenal this week. Q: How many miles, round trip, do you suspect the winning angler to run their boat each day this week? Q: What’s your favorite seafood dish to take advantage of when the Bassmaster Elite Series competes near the coast?